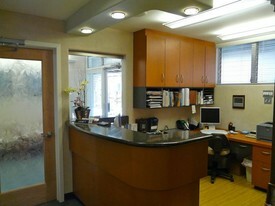 For our patients of record, we provide 24/7 dental emergency coverage by calling (650) 328-7333. If you have any questions, concerns, or would like to schedule an appointment, please contact us using the information provided below. You may also click on the Appointment Request button above. Our suite is located at the rear of the building, farthest from Homer Avenue, but right next to the parking lot located at the end of the long driveway. If you need to cancel an appointment, please contact us at least 24 hours in advance. We encourage you to contact us with any questions, concerns, or comments you may have. Please call our office or use the quick contact form below.